Brings early Appalachian history to life! 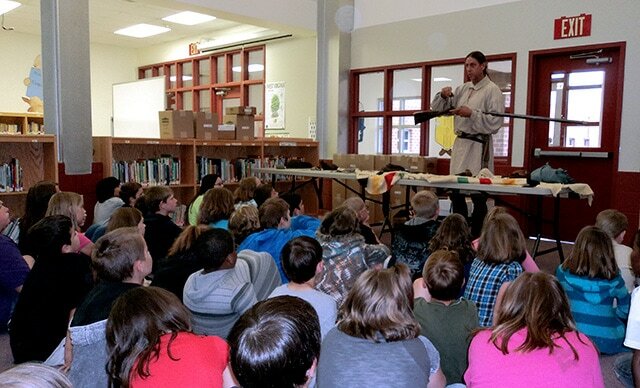 Mr. Williams provides an intriguing indoor or outdoor presentation detailing the importance of the scout and long hunter during the French & Indian or Revolutionary War periods to the survival of the Western Virginia settlements. He tells the story of the daily life of a frontiersman in full and accurate period dress and is supported by a selection of carefully handmade recreated weapons and accoutrements. Contact Tim for details and information to schedule a living history presentation for your student group or special event.